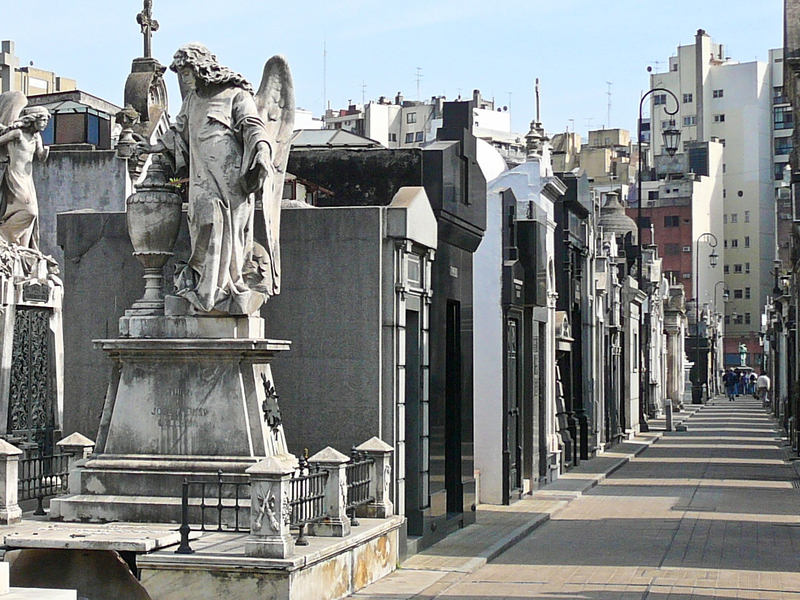 I personally find it kinda creepy that cemetery’s have become tourist attractions, but that still didn’t stop me from visiting them in Buenos Aires and Medellin. 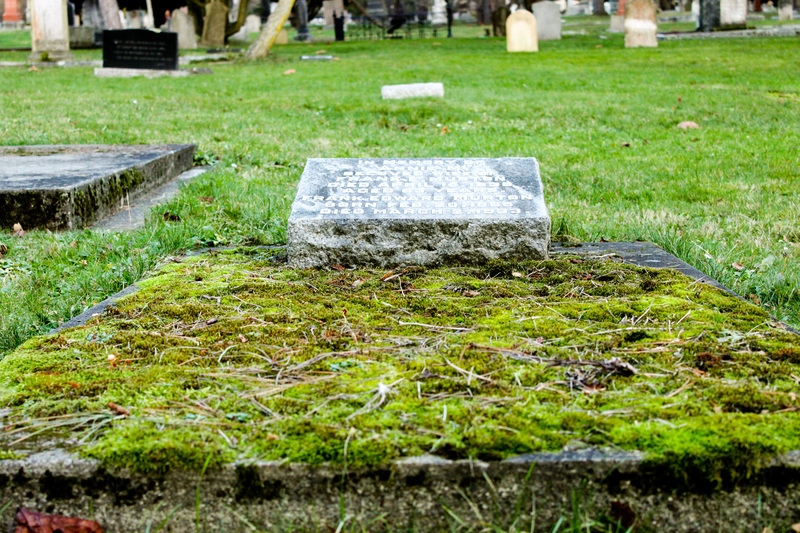 Perhaps because I had a summer job in northern Alberta where I had to cut grass in a cemetery and ended up knocking over headstones with my riding lawn mower – oops! 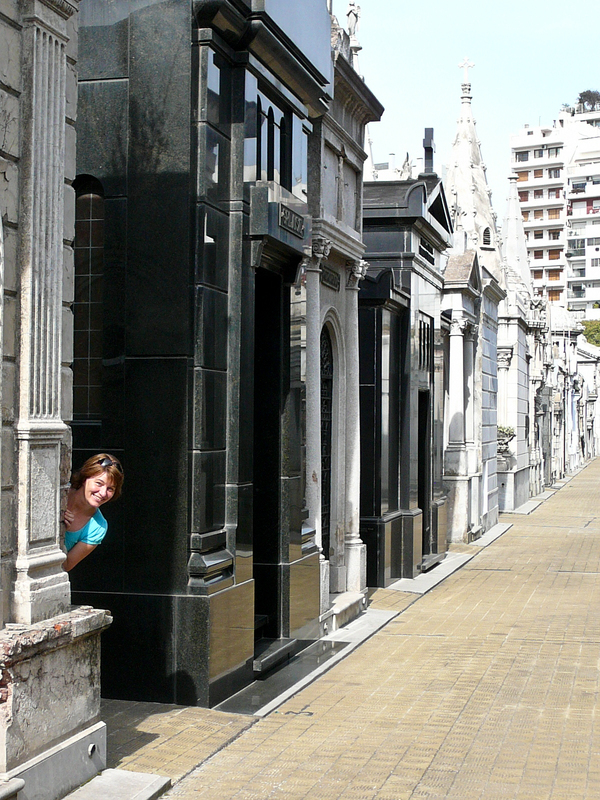 I loved touring the Recoleta Cemetery in BA. It was one of my favorite parts of the city. Not sure if you were there on the weekend, but there is a huge markets that sets up outside the main entrance on the weekends. It just adds to the overall carnival feel of what is a pretty creepy place if you start thinking about it. We have some pretty old cemeteries here in Philly, so when you guys come to visit (hint..hint) we can take you to see Benjamin Franklin’s grave as well as lots of other from the 1600 and 1700’s. I never thought much about it, but cemeteries certainly are tourist attractions. It gets the imagination going a bit, thinking about what life was like in a forgone time. Even in Saskatchewan here, when I go out walking through the prairies, I have to stop in at each abandoned cemetery and take a look. It’s kind of neat recognizing names, and figuring out what dates the cemetery got started, and when it was last used. Even on our river trip down the Yukon River, we stopped in at 3 different grave yards full of strange looking cribs and spirit houses. I’ve always liked cemeteries. Maybe it’s a Southern thing, but as kids, we’d often go “visit” family at the cemetery, making the rounds from gravesite to gravesite to leave flowers or just say hello. As an adult, I think the whole idea of burying people is a bit odd (all that land! ), but as a kid I felt completely at home in them. I still love to visit them, because I think they often have great art and landscapes and they tend to reveal a lot about people and their lives and beliefs. Great idea for post-trip posts! There are always those little things that come to mind from our trip too! btw, in true American fashion, I’ve never heard of the Canadians you listed as buried near your house. I need to learn more about my neighbors! What an interesting and eery experience it must have been. I should remember to check this out when we’re in Argentina sometime this year. 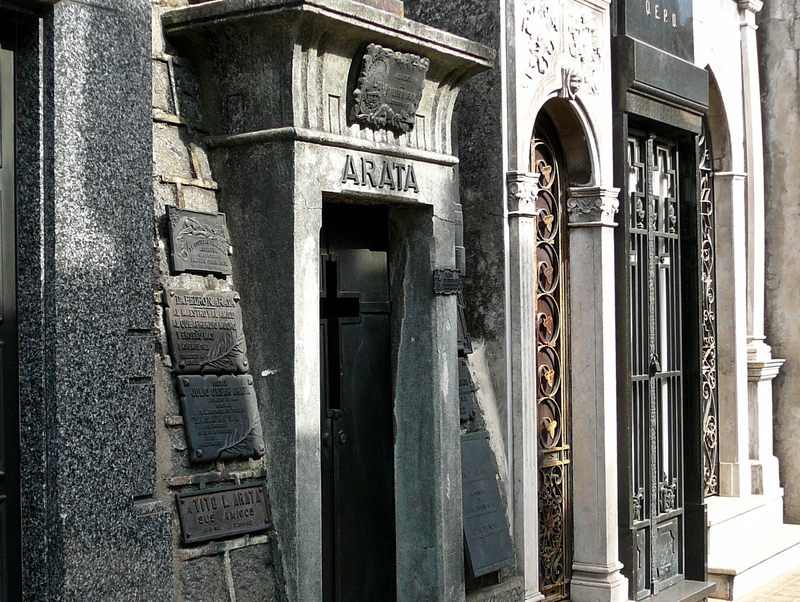 Ahhh, I love Recoleta Cemetery. Such a cool place. We have visited cemeteries in New Orleans as well, and those were pretty impressive, too. We also stumbled upon one during a hike outside of El Bolson in Argentina which was also cool. I don’t know what it is about them, maybe the uniqueness of ones like these, but I really enjoy visiting them, however morbid that sounds. Great recap and awesome pictures!! Wow, I’m always intrigued by cemeteries and memorials. I think I’ll have to see this City of the Dead with my own two eyes. It looks eery and beautiful. I remember visiting this cemetery almost 20 years ago and you post brings back memories of the afternoon I had exploring it with another fellow traveler. If your ever in Manila go and check out the Chinese cemetery, as they have some tombs that have to be seen to be believed. Some are air-conditioned and have sinks and basins for the mourners. There’s even a couple with flushing toilets. It’s quite bizarre. Safe travels…. 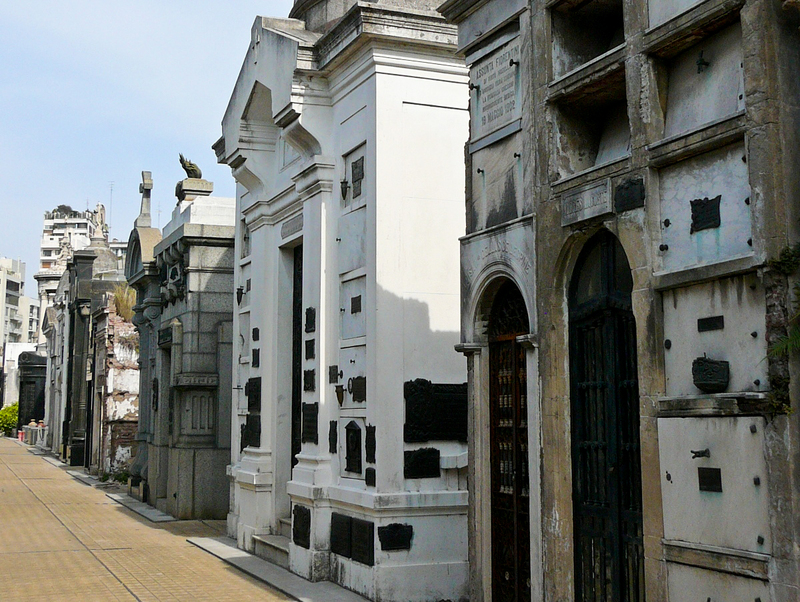 Gorgeous photos, I look forward to visiting the dead in Buenos Aires this week. 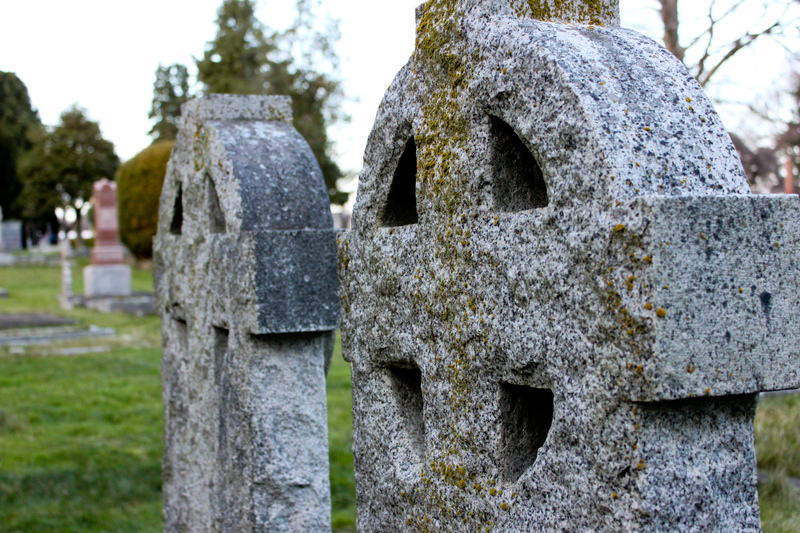 My favorite walk in Seattle takes me to Lake View Cemetary, where the cities founding families are buried…it is so beautiful. When my wife and I were in Bali we were asked if we wanted to visit Trunyan village on the eastern shore of Lake Batur. The Trunyan people do not bury or cremate their dead. They just lay their bodies in bamboo cages on the ground under the trees. Apparently they have 3 cemeteries, one for normal dead, one for children and one for abnormal deaths. As curious as I was about all of this we didn’t take the tour. Seems like a pretty crazy place to visit!